More than 60 films from around the globe will be screened at the 1st Nagaon International Short and Documentary Film Festival. 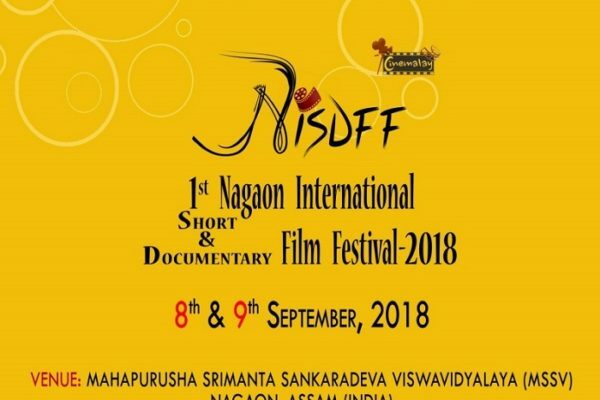 More than 60 films from around the globe will be screened at the 1st Nagaon International Short and Documentary Film Festival (NISDFF), which will be held in Nagaon on September 8 and 9. Organised by the Cinemalya, an organisation working for promotion of quality cinemas in the rural areas, the festival will open with Sakina Rashid’s short film Fish in a Bowl. Films from Australia, Italy, Germany, United States of America, Russia, Poland, Israel, Bangladesh, Myanmar, Taiwan, among others, will be screened during the two-day festival. Several critically acclaimed international short films and documentaries from across 20 countries including The Dream Deli (Israel), Mountain Monks (Germany), Draft (Russia), Moving Canvas (Bangladeh) and Brave Bunch Children of Warsaw Uprising (Poland) will be screened at the festival, said the organisers. In the Northeast section, Manipur’s award winning filmmaker Meena Longjam’s Autodriver, Johnson Rajkumar’s Fireflies, Adhiraj Kashyap’s Brocken Spectre, Deepak Kumar’s Guardians of Pakke and Uddipta Dutta’s Victims of Old Wives Tale will be screened. Festival director Khanjan Kishore Nath said there will be six competitive sections at the festival—International Short Films, International Documentary Films, Rest of India Documentary Films, Northeast Short Films and Northeast Documentary Films. “This is probably the first time a festival in the region has competition in all the section. The objective behind the festival is to motivate aspiring youngsters of the region to get into the field of visual media. The idea is to create an atmosphere where they can experience quality cinemas and develop networks with filmmakers, actors and other professionals involved in moving making,” Nath said.